Pvt. 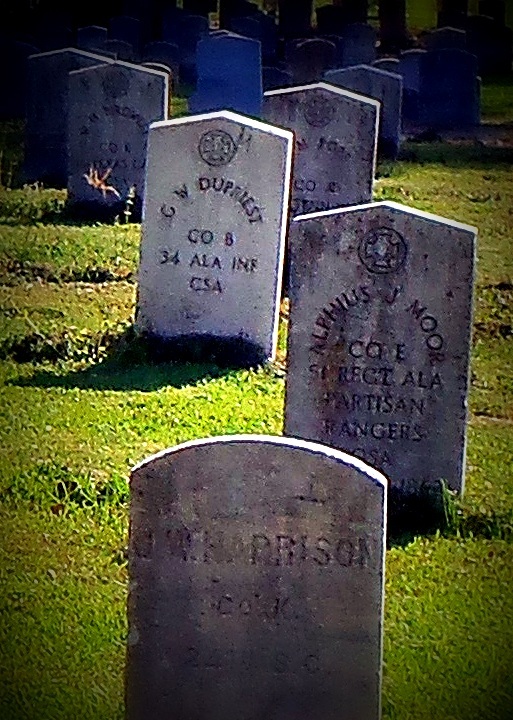 G. W. Dupriest is one of the 7,000 Civil War soldiers resting in Atlanta, Georgia's Oakland Cemetery. More specifically, his remains lie in the Confederate Memorial Grounds of the cemetery. 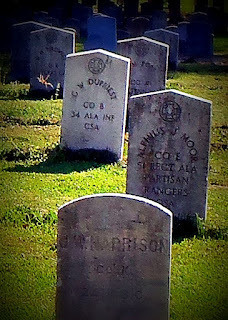 Though his government issue headstone only bears his name and unit (Co B, 34 Ala Inf, CSA), there are records available that provide a bit of information about the death of Pvt. Dupriest. Fold3 has images of Compiled Service Records of Confederate Soldiers of Alabama online. Page 2 of Pvt. G. W. Dupriest's file states he is on a "Register of Officers and Soldiers of the Army of the Confederate States who were killed in battle, or who died of wounds or disease." His date and place of death: 23 July 1864 at Atlanta, Georgia. This was the day after the Battle of Atlanta.